Home Bouquet Breakdowns	Bouquet Inspirations: Ways to Add Texture! 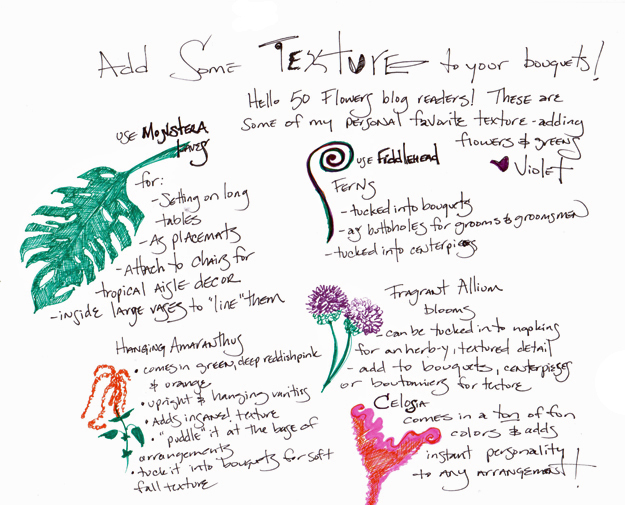 Bouquet Inspirations: Ways to Add Texture! Adds instant personality to any arrangement! New Flowers – Perfect for Fall! Orange is Hot, Hot, Hot! Save 10% on These Flowers!